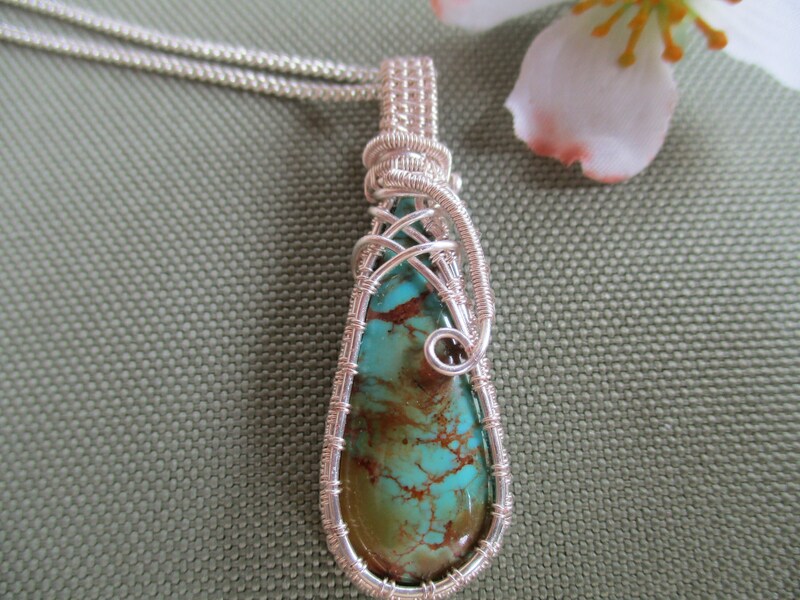 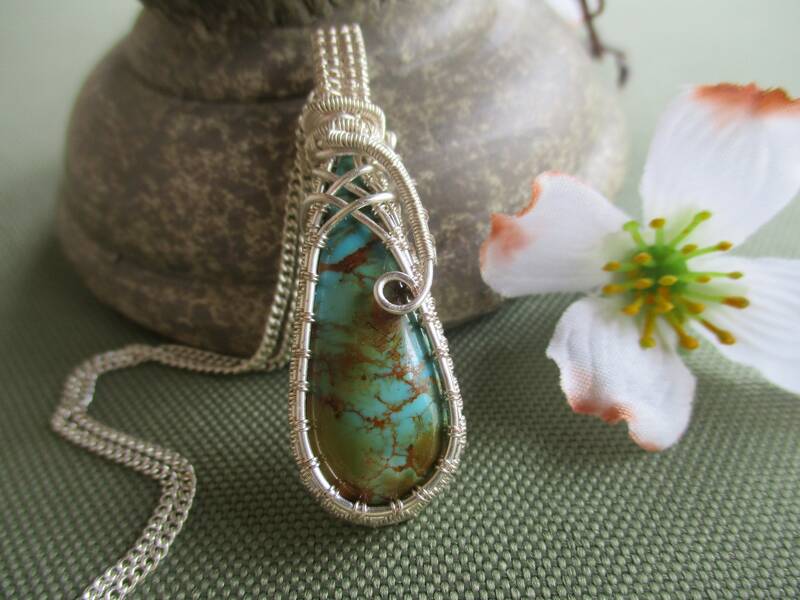 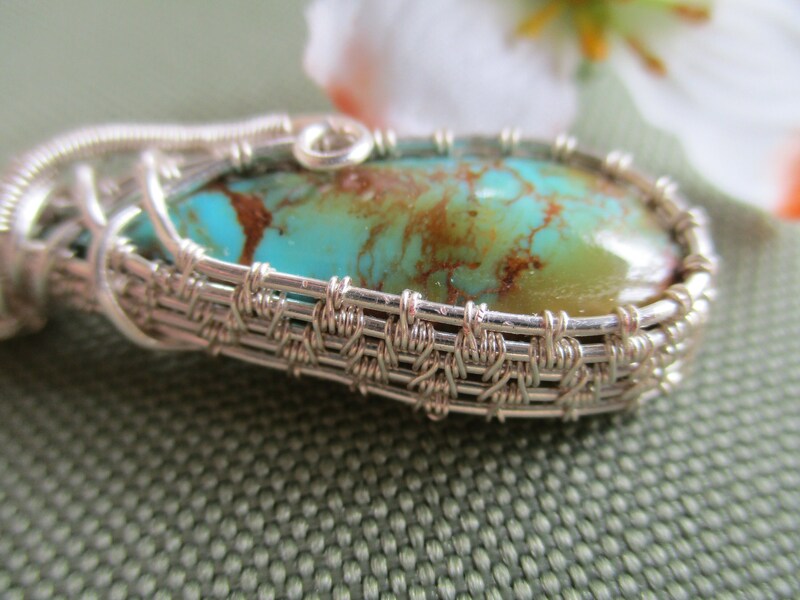 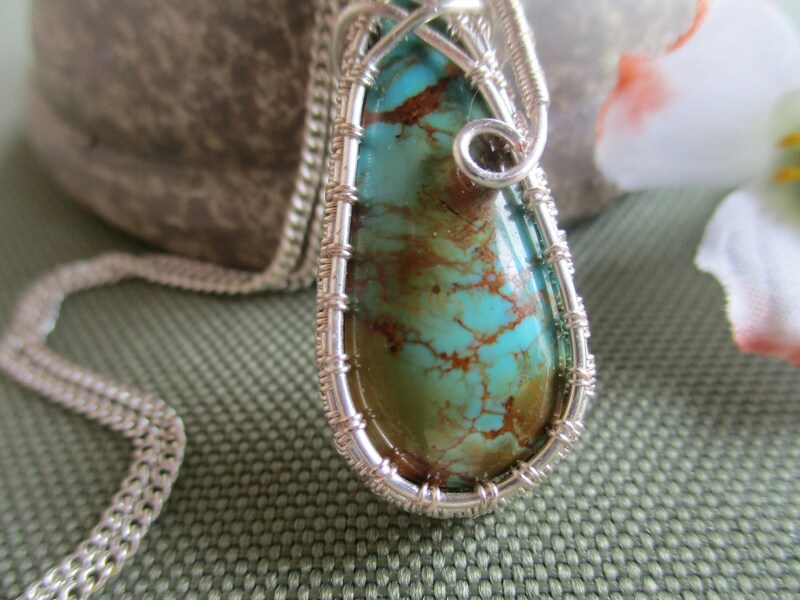 Mountain turquoise is a beautiful blue green seen many times with a golden or brown web. 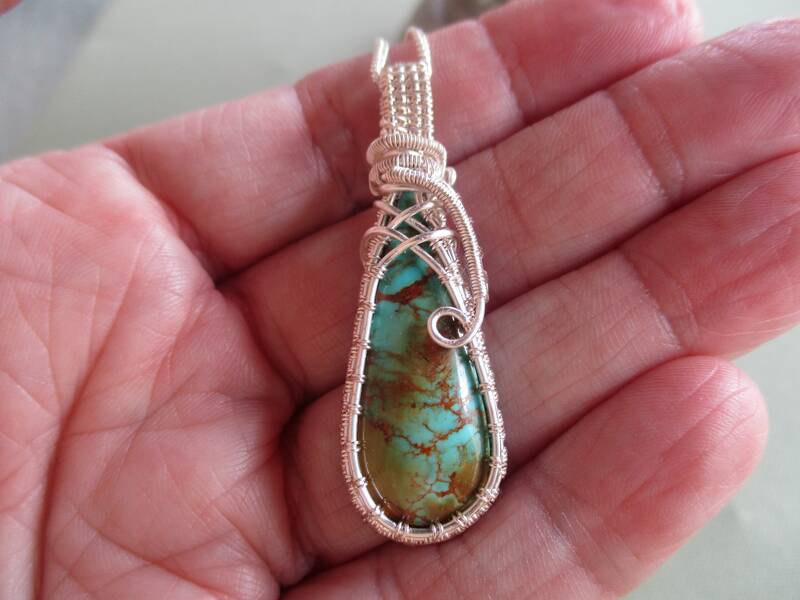 This pendant is 48mm x 15mm (2" x 1/2"). 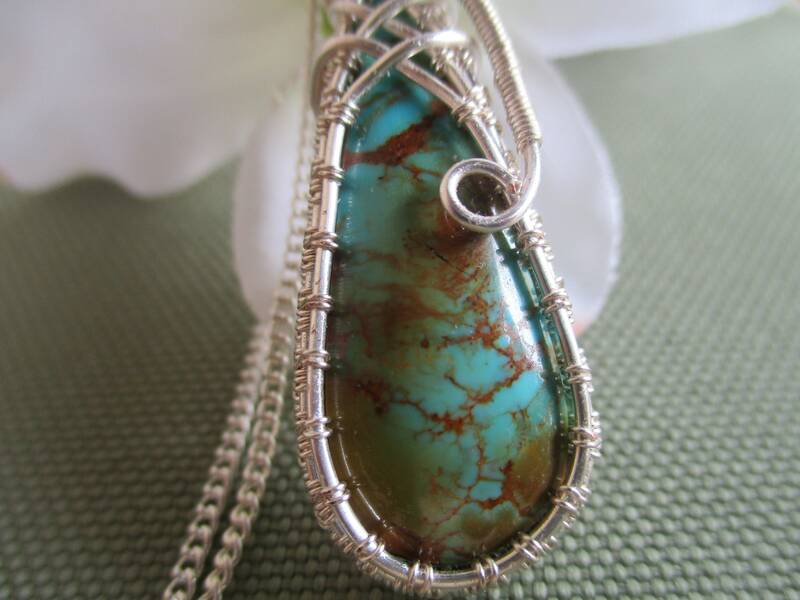 It includes a 35mm x 13mm (1 1/4" x 1/2") beautiful mountain turquoise cabachon. 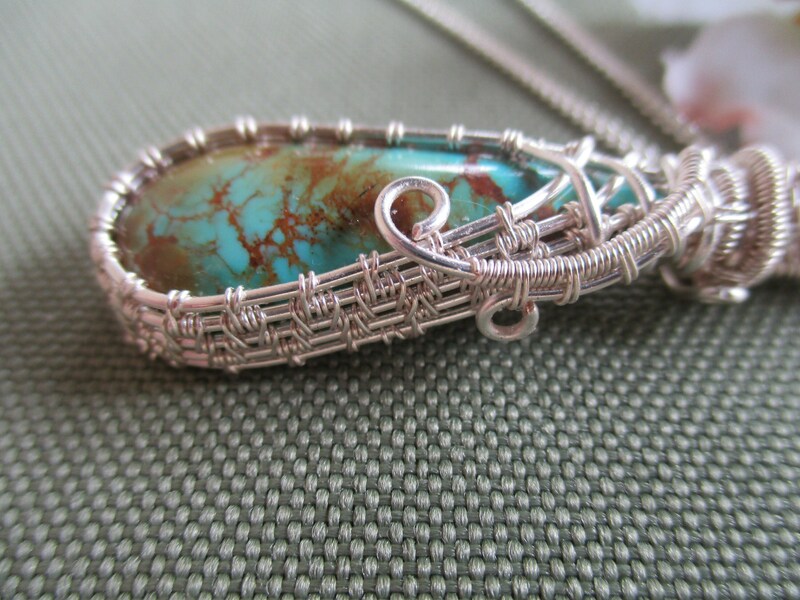 The wire used for wrapping is a silver plated anti-tarnish artistic wire. 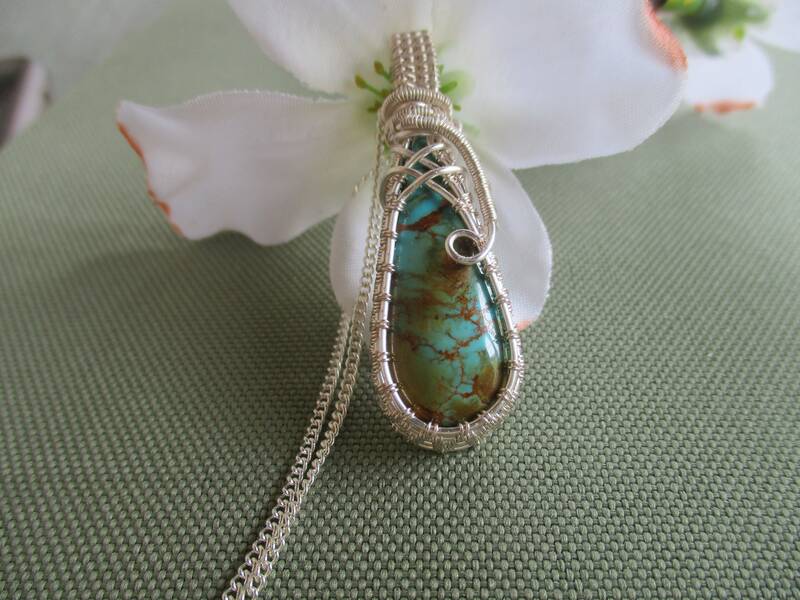 ****Please choose the length of chain you would like in the drop down box above. 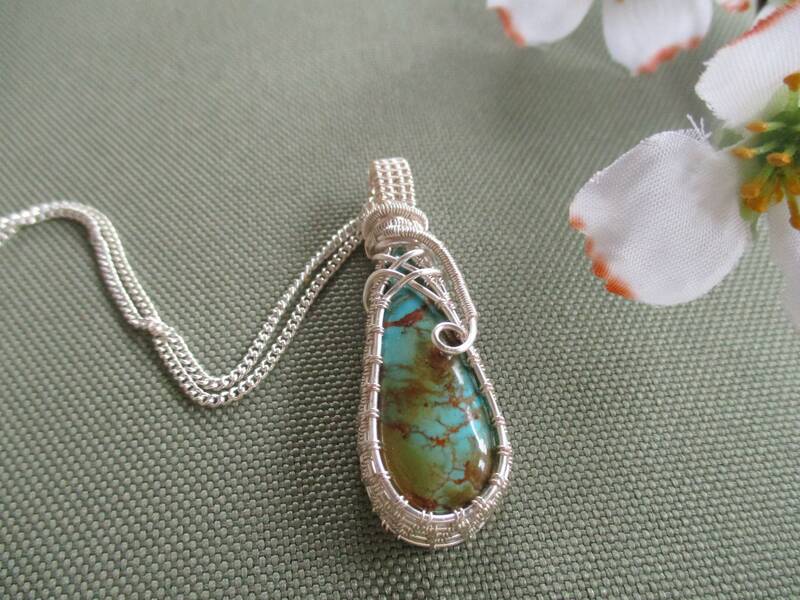 There is no extra charge for silver plated chain. 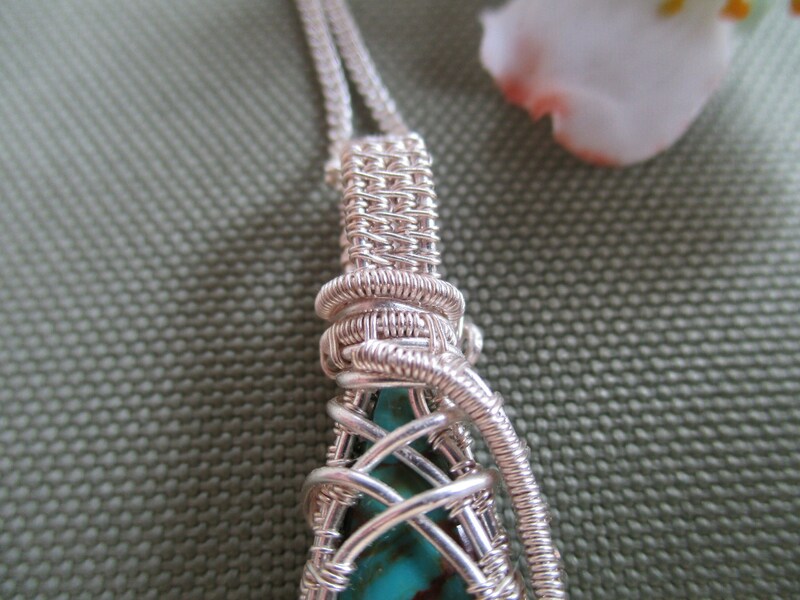 ****If you would like a 2" extension please let me know in the comment section when checking out.